In terms of accommodation on Vis, hotels are few and far between. However, there are plenty of private accommodation offerings – including rooms, apartments, villas and more. Vis is connected by ferry and catamaran to Split, so it’s easy to reach from the mainland. However, there are few ferry connections from the other Dalmatian islands, so it’s really only reachable from Split. Hotel locations are show in brackets. Luxury House on Vis – A luxury seafront house with two large terraces and stunning views across the peaceful and picturesque bay of Vis. Sleeps 4-6, beautifully furnished…and they even provide bicycles! Heaven On Earth (Rukavac) – Luxury tents sleeping up to 5 people on a site with a private beach area. 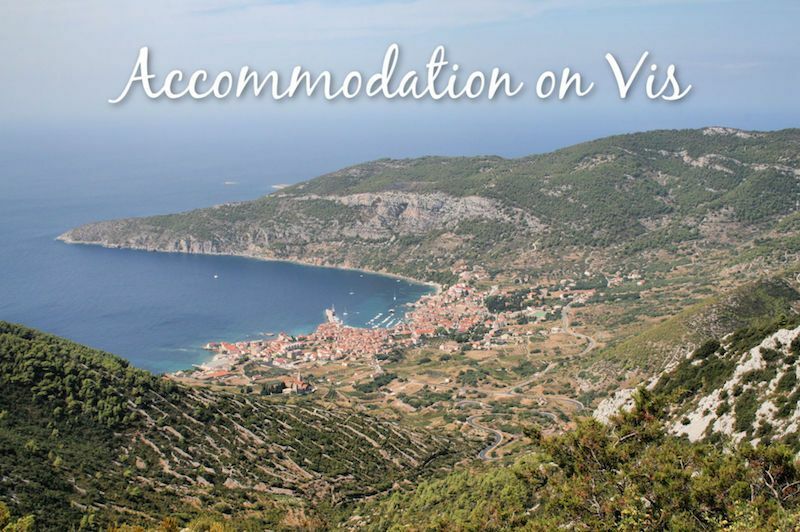 Visit Croatia Recommends Bed and Breakfast Dionis Vis An excellent location right in the heart of Vis Town and mere steps from the harbour, this small private accommodation offering has a few rooms (fully equipped) of differing sizes. Breakfast – in the cafe seating in the courtyard – is included and always hearty. This central courtyard makes and appearance in Mamma Mia 2!